​Sydney, 1 August 2013 - Office vacancy rates are expected to peak in most Australian CBD markets in 2015-2016, with Brisbane expected to have the peak vacancy of circa 14% according to forecasts from CBRE. CBRE’s Head of Research for Australia, Stephen McNabb, said the latest Property Council of Australia vacancy statistics highlighted that demand had softened across all CBD markets with negative net absorption driving up vacancy rates in every major capital city. 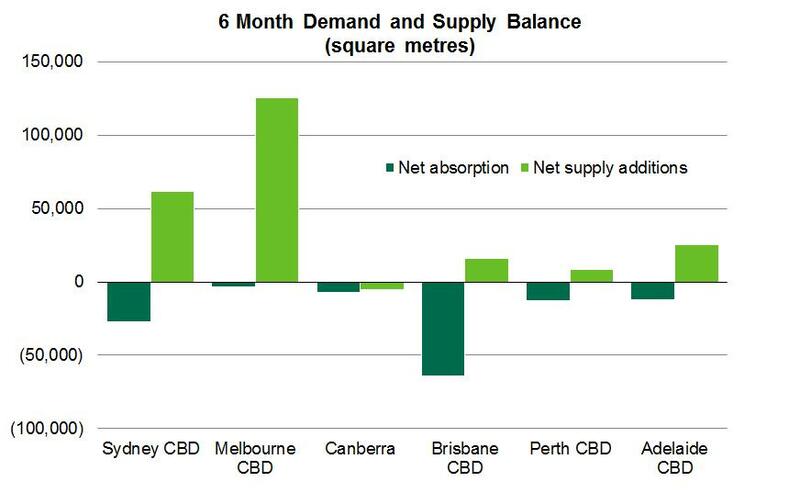 Overall, CBD net absorption contracted by 126,000sqm in the six months to July 2013 - not unexpected, Mr McNabb said, given that office sector employment had contracted over the 2012/13 financial year. The highest levels of negative net absorption in the six month period were in the Brisbane CBD (-64,000sqm) and Sydney CBD (-27,000sqm). “Sydney continues to be hampered by tight business conditions for the finance sector, as well as the consolidation and space reduction strategies being pursued by major tenants,” Mr McNabb said. Looking at the other CBD markets, Mr McNabb said Melbourne was fairly stable in terms of demand with net absorption of -4,000sqm. However, this was insufficient to prevent a spike in vacancy to 9.8%, from below 9% a year earlier, given that 126,000sqm of space was added during the six month period. “More so than other markets, the rapid deterioration in Melbourne's vacancy rate has reflected higher levels of supply rather than lower demand with net supply additions in Melbourne being more than double the 62,000sqm added to the Sydney CBD over the first half of 2013,” Mr McNabb said. The influencer in Perth is the run off of mining investment, with demand falling at a steady rate as the investment slowdown impacted back office support services, Mr McNabb said. 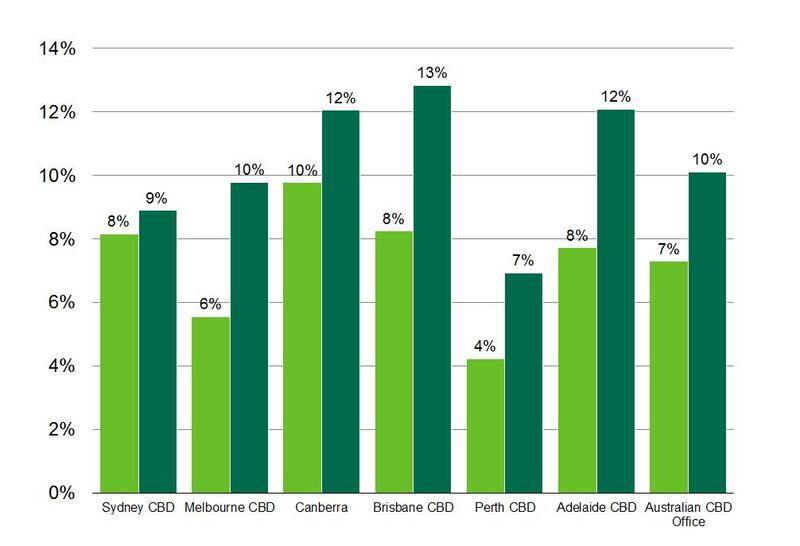 CBRE is forecasting that vacancy rates in most CBD markets will reach peak levels in 2015-2016 within a range of 10% (Perth/Sydney) to 14% (Brisbane). “The lead up to this will be mixed in 2014, with some stability in Sydney and Perth given limited supply additions in that window,” Mr McNabb said. There was a meager 11% improvement in total enquiry in the second quarter of 2013. Q1 was almost a Groundhog Day experience in respect of the number of enquiries. We have, however, seen an increase in the small enquiry (100-500sqm) and those over 3,000sqm. Enquiry in the size range between has declined. Of particular note has been the 10% uplift in tenants specifically seeking fitted out space. This is not completely surprising as many tenants have financial pressure to keep fitout off the balance sheet and fitted out space accomplishes this. By industry sector, enquiry has seen no particular stand out. Q1 2013 saw a large drop in legal enquiry but this has come off the back of a very strong 2012 and we anticipate legal enquiry will continue to be respectable driven by lease expiry and a desire to create greater workplace efficiencies. Finance and insurance enquiry has decreased by 30% but we are seeing incidents of smaller groups looking again looking to drive workplace efficiency through moving to larger floors and capitalising on a favourable market. A surprising 30% of tenants expanded in Q1 2013. This is put into context when reviewing the background information; our analysis shows that the majority of these tenants took only marginally more space than they currently occupy. The incidence of companies downsizing increased 12% and those who made no change in tenancy size decreased 24%. This confirms a largely static market that we are all seeing on the street. Our analysis of the outcome of enquiry was perhaps the most startling. At the end of Q1 2013, 35% of tenants remained either; on hold, at the shortlist stage, still looking or at heads of agreement stage. Of the remaining 65%, 39% relocated and 26% of tenants have stayed put. Transaction times remain unprecedentedly long. Demand remains a little patchy and flat: caution seems to be ruling the day. Business confidence is subdued at the moment – take your pick for an excuse (election, US uncertainty, Euro-jitters), and many moves centre on cost savings from the implementation of measures such as Activity Based Working. The stay-put is the easy decision, with strong incentives to do so. However, there are some fantastic opportunities out there for tenants with the foresight to see beyond the current market. I don’t think I’ve ever seen such a variety of well-designed/conceived development projects as the ones available now – and they cover a variety of markets from the fringe CBD out to the lower north shore and on to Macquarie Park and Parramatta, all with rail-head convenience, big floor plates and compelling efficiencies. I see the outlook for the rents and incentives as stable for the next six months – incentives are as far as they will go, and it’s a matter of time until the lack of stock starts to check them. The CBD remains a compelling option for some north shore tenants – incentives are high there, and they are plenty of options. The first half of 2013 has seen a softening Perth leasing market with an increase in vacancy rates and a low level of new lease transactions. For the balance of 2013 we expect to see vacancy rates continuing to increase to around 8% in the CBD. There is some softening of rents, and incentive levels have increased by 50% from low levels. Although conditions in Perth have changed significantly in 2013 we need to view the market in context. Vacancy rates remain well below 10% and incentives are relatively low when compared to the eastern states. In 2014 we will see only one new building completed of 11,000 sqm at 861 Hay Street, so new supply levels are low. The Perth market can change quickly and a shift in demand levels in 2014 could change the fundamentals again. The second half of 2013 will be an excellent time to secure office space with rents softening, and attractive incentives. 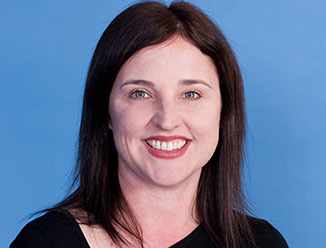 The Brisbane office vacancy has increased as a result of subdued demand conditions. However the highest vacancy levels in the CBD are in the secondary market as tenants continue to pursue a “flight to quality” strategy, focusing on securing accommodation that facilitates higher occupancy densities. This is presenting challenges to landlords of buildings that are viewed by occupiers as dated. To some extent this has the potential to create a two tiered market. The Brisbane fringe market looks to have fared better with vacancy seemingly increasing only as a result of supply additions. It is also notable that the near city has succeeded in drawing occupiers out of the CBD in recent years and this has undoubtedly contributed to rising vacancy levels in secondary stock in the CBD. We expect demand conditions to remain subdued throughout 2013 with a modest recovery to come further in to 2014. In the CBD it is likely that we will see some stock withdrawals from the B Grade sector in the years ahead with owners investigating alternative uses including residential conversion. This will provide some relief to vacancy levels in secondary stock. The Prime market has less incidences of contiguous vacancy and the market is unlikely to have any new stock additions until 2016. The Gold Coast market continues to improve with a further reduction in vacancy during the first half of 2013 on the back of an increase in business confidence following a lacklustre 2012 when net absorption was just 4,574sqm. Whilst the vacancy recorded is a positive outcome what is particularly encouraging is that it does not capture four of the larger transactions year-to-date which has seen over 7,500sqm of space leased. This involves Members Alliance securing 3,500sqm at The Rocket in Robina; QLD Newspapers securing 1,300sqm at Seabank in Southport; Gold Coast Training Academy leasing 1,095sqm at Robina and G8 Education purchasing their own headquarters of 1,600sqm at Varsity Lakes. These transactions are not reflected in the figures released for 30th June 2013 as these businesses are yet to move into their new locations. They demonstrate local business confidence and will have a direct impact of over 5,000sqm to net absorption in the Gold Coast office market. December 2008 was the last time the Gold Coast market was in the sub 20% vacancy range and we anticipate that business confidence will hold for the balance of 2013 and we will continue to experience a downward trend in vacancy on the back of limited new supply additions. Based on current net absorption projections, including mooted supply additions, we expect vacancy levels to reach sub 10% by 2017. A new trend emerging is tenants considering future public transport accessibility in their site selection criteria and seeking locations within close proximity of stations for the new Light Rail which is due to be commissioned mid- 2014. This new transport infrastructure will add considerable benefits to the Southport, Surfers Paradise and Broadbeach markets which are positioned strategically along the light rail track. Rental rates vary widely across all sub-markets and are driven by supply levels, with the likes of Broadbeach and Robina achieving much higher rents due to a sub 15% vacancy whereas the softer markets of Bundall, Surfers Paradise and Varsity Lakes are more price competitive. Incentives still remain in the 15-25% range across all sub-markets. The challenges moving forward will be for larger users, with only 14 buildings in the overall Gold Coast market able to offer contiguous space of over 1,000sqm of which ten are positioned within the coastal Gold Coast CBD areas of Southport, Bundall and Surfers Paradise. The Melbourne CBD office vacancy has increased as a result of new supply but also subdued demand conditions. However, we are seeing signs of recovery with quarter on quarter growth in enquiry levels since Q4 2012. This is further supported by the number of publicly released tenant rep briefs released during 2013. As at mid July 2013 a total of 92 briefs had been released, with the average brief size being in excess of 1,500sqm. There is a flight to quality occurring, with tenants looking at higher occupancy densities as well as consolidation. These are not new discussion topics for the Melbourne office market and they strongly support the fact that new supply has impacted vacancy in the Melbourne CBD. Our analysis shows that of the most recent commitments in excess of 8,000sqm to new and existing CBD & Docklands buildings, 60% have involved tenants co-locating from multiple locations and in excess of 80% have involved commitments to new developments. Overall, rental growth is likely to be negligible and tenant incentives are on the rise albeit much less than what is being experienced in the eastern states. Vacancy levels are now at the expected peak of 12.1%, taking into account four main buildings. On the positive side, no real additional supply is forecast until 2016 and the sub lease market remains small and isolated. However demand is spasmodic and activity mainly revolves around brokerage deals, with stay put being a real option in most circumstances. Incentives are currently up to 20%, with incentives for sitting tenants now close to those being offered on vacant space. However face rents are holding. In this environment, owners are focusing on building presentation/performance and NABERS ratings in order to retain and attract tenants. Moving forward, given the limited supply pipeline, a recovery in demand should see a quick positive response on effective rental growth. While there have been concerns about the impact of the pending Federal election, the long-term leases held by government departments are a natural hedge against any large- scale staff reductions. Department heads cannot just walk away from a lease, and any new government does not want to start paying out lease contracts, so reports of Armageddon are misguided. In the past 18 months, there have been a number of long-term leases signed, such as PricewaterhouseCoopers, Telstra and Ernst & Young, as well as government tenants. That provides the sector with long-term stability.